A historical cycle tour from the Lock Mills to the Plassey Mills. After our walking tour of the canal we were approached by Limerick Open House who asked if we would participate in the weekend of Open House architectural events planned for the city on the weekend 19-21 October 2012. The plan was to cycle from the Lock Mills, next to the canal off Clare Street, to the Plassey Mills, next to the Black Bridge, Castletroy. 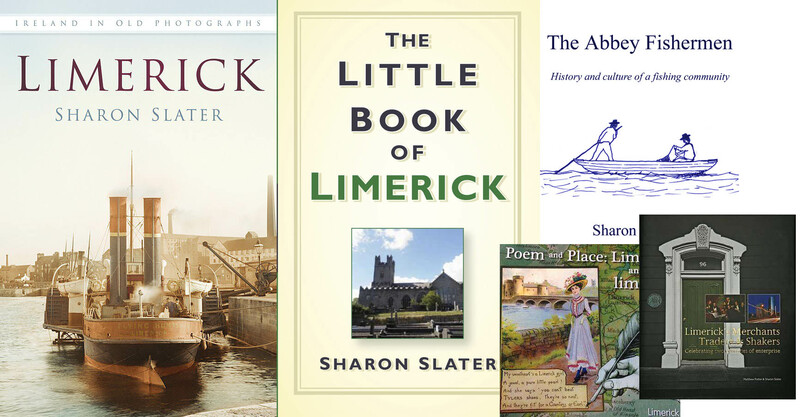 Linking both mills through their joint history in Limerick’s industrial and architectural heritage. During this cycle we would introduce the participants into the history of the 6 storey Lock Mill, which was built by Andrew Walsh and designed by the Dutch architect Uzald who also designed the Lock Bridge. The mill itself was very high-tech for its time, including 6 mill wheels which were powered by water from the canal, for the use of this water the mill paid the Limerick Navigation Company £40 a year. of 1s. 4d. per week. Though this fund helped to alleviate the distress of a large number of tradesmen, it did not prevent the hardship and misery from biting deep into the poor. A number of schemes were started to provide work for the unemployed, but by May 1772 work, money and food were still as scarce as ever. Matters came to a head on 12 May 1772, when a starving crowd gathered outside the Lock Mills seeking food. The people believed that a quantity of corn was hoarded in the building. The Mayor, Christopher CARR, called out the soldiers, and the mill was occupied by a sergeant’s guard. The hunger-maddened crowd refused to disperse and were fired on by the guard. Three men on the opposite side of the canal were killed. The killing of the three men did nothing to asuage the anger or hunger of the people. On the following day another large crowd assembled in the Irishtown to again seek out bread or corn at the mill. The military was once again sent for and the 24th regiment was marched against the starving men and women. Three more people were killed, including a poor woman who was selling milk in Broad Street at the time. No further attempts were made to seek food at the mill. The inscription above the arch, which is now all that remains of this mill, still bear the inscription “John Norris Russell, Lock Mill 1844” which was not erected until the 1890s. From here we would travel along the canal, to Troy’s Lock where there once stood Harrold’s hotel and the Troys Lock Keepers house, neither of which remain today. Harrold’s Hotel was a fine establishment in it’s time where the hoy-ploy of it’s time would arrive on “flyboats” along the canal. After the closure of the hotel it fell into disrepair and was known in the area as a haunted house before it was finally demolished. Troy’s Lock Keepers house was situated on the opposite side of the canal and had some very interesting wooden overlays over the windows. From here we would pass the Guinness bridge, over the towpath bridges with their one wall higher than the other to accommodate the ropes from the horse drawn barges. At the UL Rowing Clubhouse, where we were in for a treat, with a tour of the building as well as a chance to use their state of the art rowing machines as well as their indoor in pool boat, which simulated the experience of being on the water with out the dangers, or harsh weather. Next to this was what remains of the Plassey Mills, which were built by Major Hodge Maunsell in 1824 in a similar style to the Lock Mill. 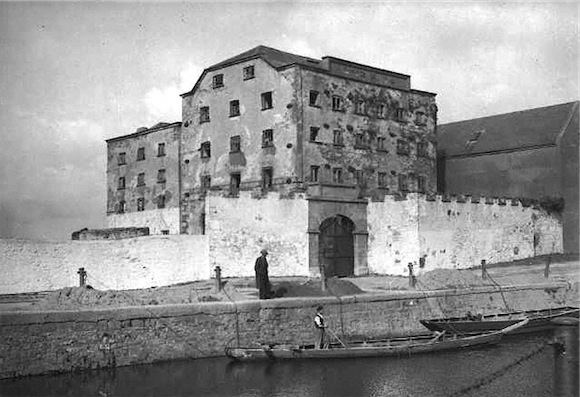 This building was also six storeys high and took advantage of the ten foot drop from the water race behind it into the Shannon making it one of the most productive mills in the area at the time. In February 1841 the mill ravaged by a fire, which was owned by the Harveys at the time, but this was soon repaired and the mill passed through the hands of the likes of Reuben Harvey and Richard Russell. Richard Russell was of the son of John Norris Russell who operated the Lock Mill, and he operated the Plassey Mill from 1857. 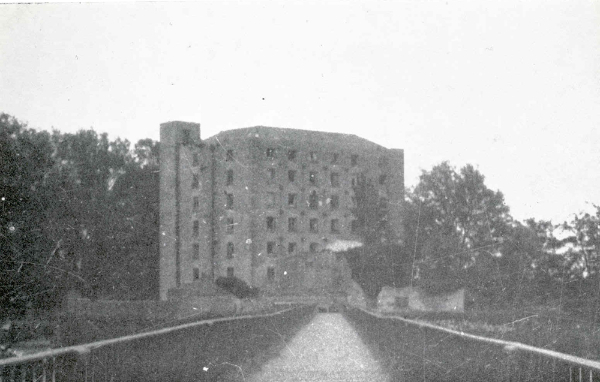 The mill stood derelict for many years until 1957 when all but the corner tower were demolished. After this we were invited into one of the Plassey Huts, where we saw how the fishermen of yesteryear as well as today lived on the Plassey Banks, it was in incredible treat so listen to the owner talk about his life on the riverside. Finally we arrived at the Pavilion Restaurant where we ate lunch and waited for the bus to arrive from the city, which was carrying others who had been taken on a tour of Mount Saint Lawrence Cemetery, who no doubt saw the grave of the three fishermen mentioned above.